Three months after it was first released, the most recent version of HL7's Fast Healthcare Interoperability Resources specification has been deployed by Cerner, which is touting the normative and backward-compatible FHIR R4 as key interoperaberability standard for healthcare app developers seeking to interface with its technology. 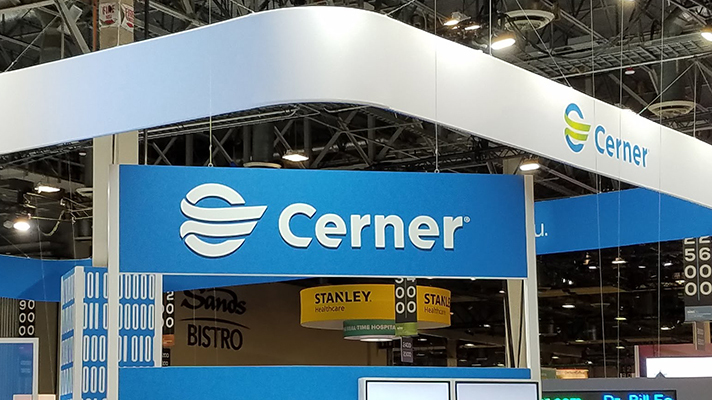 By incorporating FHIR R4 and opening its application programming interfaces to third-party app developers, Cerner says it's building on the leading-edge standard as the way forward for data-exchange in the near future, and is encouraging other vendors and healthcare providers to leverage the spec for new tools. The fact that R4 is normative is good news for those outside developers in the months ahead, and better news for a healthcare industry looking to gain momentum with interoperability as it tries to spur more widespread data exchange with a variety of apps and programs that interface with electronic health records. "A normative standard is one that is guaranteed not to change, at least for a well-specified and extended period," Dr. David McCallie, senior vice president of medical informatics at Cerner, explained in a blog post. "In standards development, a trade-off is often present between the stability of the standard and the rapidly evolving needs of health IT. If a standard’s specification becomes normative too early in its development, it may not be good enough to cover the complexity of healthcare, or to address the evolving needs of a dynamic environment," said McCallie. "But if the specification is too fluid, with rapid emergence of new versions, implementers may not be able to write stable code. Implementations that used different versions won’t be able to 'talk' to each other, which negates the value of standardization." With R4, he said, FHIR "has addressed this trade-off between stability and responsiveness by declaring the core of the standard normative, while allowing other parts to continue to evolve." FHIR R4 was first released by HL7 earlier this year, and FHIR Product Director Grahame Grieve noted that several key piece of FHIR are also now normative, including the RESTful API, the XML and JSON formats, the terminology layer, the conformance framework as well as Patient and Observation resources. "R4 is the culmination of 18 months of extensive work to finalize the base parts of the specification, and incorporate changes and enhancement requests received from implementation partners across the world," said Grieve. But no sooner had it published FHIR R4 than HL7 announced it was now focused on "producing a roadmap for FHIR R5," he said in a separate blog post. That subsequent version, which would be due in the latter half of 2020, will focus on "moving more content to formal normative status; further improving the support for publishing implementation guides; adding additional content in newly developing domains; improving support for applications using multiple FHIR releases seamlessly, and also multi-language support and federated servers and adding new facilities for migrating data to and from v2 messages and CDA documents," he said. In an interview this week with Healthcare IT News, Dr. Donald Rucker, National Coordinator for Health IT, emphasized that ONC's vision of interoperability sees FHIR and open APIs, with health technology certified to them, will be essential drivers for interoperability going forward. And that industry convergence on those standards will enable big advances for a larger ecosystem built around consumer-empowered data exchange. "There is an existence proof with Apple, right?" said Rucker. "They've taken this to I think several thousand providers and more than a hundred organizations now. So you know there is a proof statement that FHIR, and things more broadly, can be built into a consumer-accessible format. I do think it is very early. These technologies are maturing. The nice thing about this for healthcare is they're mature in most other industries. And so there's a lot for us to build on in every layer of the software stack because these things work elegantly elsewhere in the economy." In the Cerner blog post, David McCallie agreed: "The convergence of these two threads – FHIR as a better interface standard, and APIs as a required part of EHR certification will have profound impact on future interoperability," he said. "We are beginning to see many innovative uses of FHIR APIs, such as provider-facing SMART on FHIR pluggable apps, as well as consumer-facing innovations, such as Apple’s Health app that allows for a simple download of core clinical data from EHR portals. "Driven by the broad API requirements in the 21st Century Cures Act," he added, "we can expect ONC to significantly expand the scope of EHR certification of required APIs, hopefully closely in sync with HL7’s continued expansion of the FHIR specification."